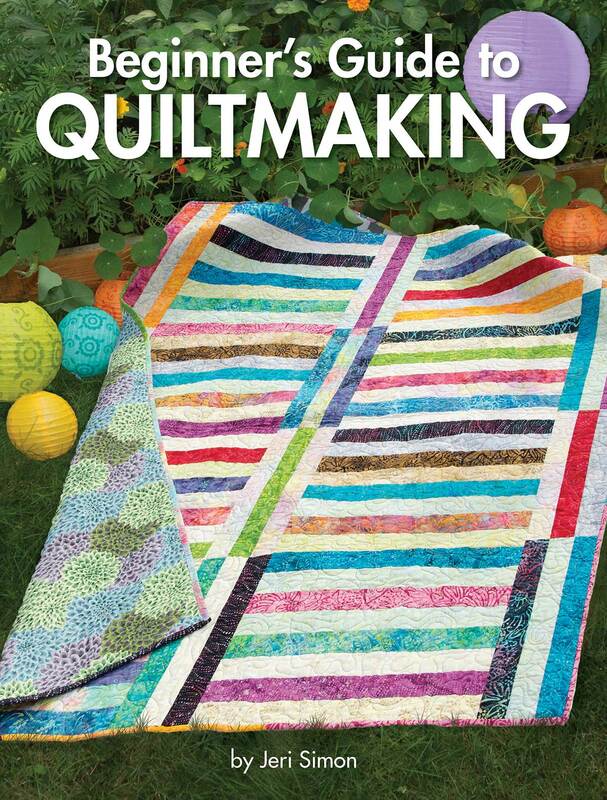 This entry was posted in Quilting and tagged Beginner's Guide to QUILTMAKING, Jeri Simon, Landauer Publishing, Quilt Book. Bookmark the permalink. The reason I quilt is to keep my sanity! I am not currently teaching anyone, but hope to start with my niece in the next year or so. She is almost 11, so the perfect age. I’ve been sewing most of my life, starting with Barbie doll clothes at the age of 6 or 7. My grandmother taught me to sew. I started quilting when I was pregnant with my first child. There’s been no turning back since then! My biggest vice is buying fabric! I am teaching a neighbor girl to quilt. We are doing patchwork – the log cabin block from 1 1/2′ strips. She is 8 – the same age I starting sewing ( Mom was a tailor). It has been hard to go back to teach someone how to start because there is so much I take for granted is known – can’t quite get in her shoes. thank goodness she is a patient kind little girl. I quilt because I love to create things for my home and my friends. It is very relaxing to me and I also love the generous nature of quilters. Have never met one that I didn’t like. The reason I quilt is because it is relaxing and love seeing the finished product. I am a new quilter, started January of this year. I have been sewing since a teenager, my Mom taught me. When my Granddaughter asked me to make her a red and white quilt, what does a Grandma do but say yes! So I searched quilting blogs to learn. I have made her a red and white quilt (just the pieced top) and she loves it. It is at the long arm quilters. I love to keep my hands busy and to create. I want to make quilts for the kids and grandkids. :) I am not currently teaching anyone to quilt at the moment. I did try to get my DILs interested but they are at that “busy” time of their lifes with kids and jobs. I will be here when they are ready. :) I have sewed forever, but just recently got into quilting. I forgot to say. I loved it and have started building a stash of fabric and patterns! I quilt because I love fabric and there are so many beautiful ones to choose from! I quilt because of the peace and joy it gives me. I say I quilt but really what I like to do is sew things together. Sometimes the project does have a finish and other times I get distracted by something new. It’s a big day when I actually have a completed quilt. That happened already this summer when I participated in two QALs because there was a deadline to upload my projects. I quilt for the sheer joy of it! How else can you play with gorgeous colors, wonderful textures, intriguing patterns and end up with something that expresses love to the recipient (even if it is yourself). It may become and heirloom for future generations to enjoy too. And loving to sew to begin with doesn’t hurt! I began quilting over 10 years ago, after I watched my 60+ father create and quilt more than 160 quilts. 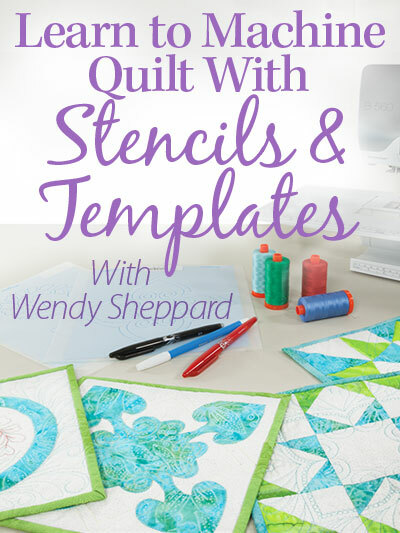 My mother, myself and my daughter snickered and teased him a lot during his creating process, but he inspired an interest in me and I began watching Simply Quilts on tv and a few other quilting show segments that were available. By the time Dad put away his sewing machine, his eyes just could not see what he was doing anymore, my interest had become a reality. He gave me all of his unused fabrics, notions and moms antique Singer 301A sewing machine and cabinet and I began quilting. I have fallen in love time and again with quilting! Dad came over last month and I helped him design and sew a carry bag for his oxygen tank and we laughed, talked, designed and had such a fabulous time….I think he may just have to come over more often and help me create! LOL. I get carried away with words and excitement, forgive me. This book does sound like an invaluable tool no matter if beginning or experienced. I would love to win a copy! Plus, will be marking it for my next purchase ( I know of a new quilter who could use this) and gift it. Thanks for sharing and have a great day! I quilt because it is a form of relaxation for me. I can enter my own world and forget whatever else is going on around me. I love to quilt because I get to play with fabric, and color and design. My mother taught me to sew when I was a teenager and it creates a link to her, even though she is no longer with me. Quilting is extremely important in my life.. I quilt for all the reasons listed by others. My grandmother taught me. 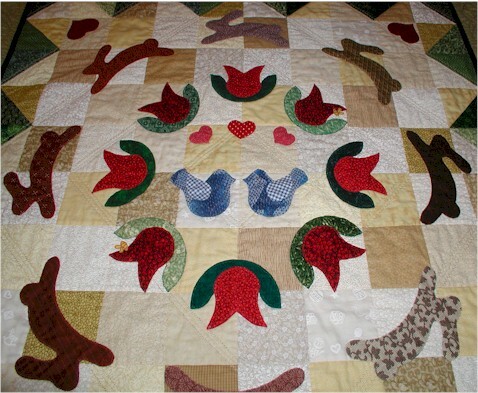 I have taught several individuals how to piece and applique the blocks and encouraged them in the quilting. I have sporadically quilted for 40+ years. Many years with nothing created in fabric, but always great quilts in progress in my head. As I near retirement I just hope I have the time to finish all those virtual quilts. One of my daughters recently stated she wanted to start quilting. Joy. I love to quilt. Quilting is like therapy to me. I am a caregiver for my husband who has Alzheimer’s Disease and quilting helps me refocus my emotions. I started quilting almost 20 years ago. At that time I had a sixteen year old daughter and I wanted to find a hobby that she and I could do together. She enjoyed the class but has not quilted since then although she loves to get quilts from me. I started quilting a couple years after my husband died at a very young age. Prior to that, I always thought I would get around to learning how to quilt once I retired. After his death I decided we don’t all make it to retirement so I should start now if I want to learn! :-) It is my therapy. Both of my teenage kids have expressed an interest in learning to quilt and sew. I’ve decided to give each of them two separate weeks of one-on-one sewing with me this summer. I am hoping they are both inspired to continue. This book looks terrific and very thorough for someone starting out! When I was a child, I wanted to do “art,” but I could never make my fingers and tools do what I wanted. When I was in college, I mentioned to a family member that I wanted to take an art class. “Well,” she huffed, “you’re not thinking much about your GPA ,are you?” So I didn’t take the class. 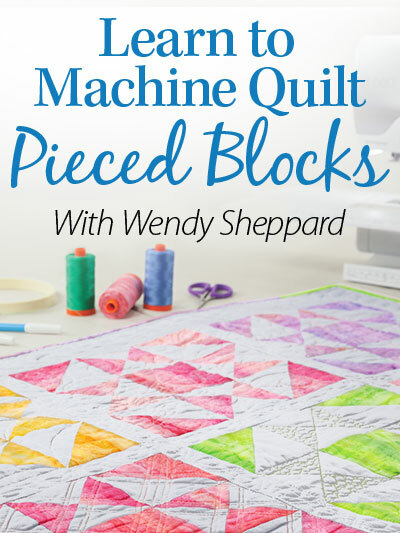 I’d been sewing since I could sit up at the machine, so when stitching garments for myself and family was no longer cost-effective, I took up quilting. And I learned that quilting is my art. I make quilts for family, friends, new babies, and grammas. A couple of years ago, one of my granddaughters (she was 6 at the time) wanted to “make a quilt” during my visit. I’m sure she expected to finish a king-sized one by “tomorrow.” What we did, though, was make 4-patch place mats! She was happy! I quilt because it relaxes me and I can focus on it instead of worrying or thinking about other things. It keeps me out of the bars and the casinos or bingo halls too. I enjoy it and it is my therapy. I’m teaching my Mother in Law to quilt and a few friends too. I have been quilting since 1992. I used to just sew clothing, wedding dresses and suits but now I don’t do hardly any clothing sewing. I started quilting by accident. I used to come home and watch Sewing With Nancy and the public TV station changed her time slot. I had to sit through Eleanor Burns, Quilt in a Day before I could watch my program. I watched it long enough for it to intrigue me and hook me too. I went to a local shop and joined a guild and I’ve been hooked ever since. I love it. Thanks for the chance to win this book. I have a granddaughter that I’ll be teaching soon and this book will be great for her. I quilt because I like to be creative. I like to make something that will be used and enjoyed. Hello I quilt by hand+machine,it is something I love to do+have since I was a teen. It is relaxing and useful at the same time. 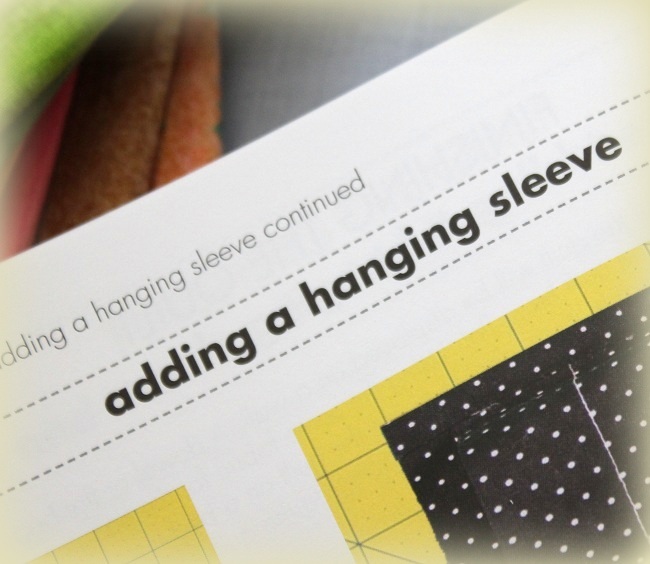 I enjoy completing my housekeeping chores each day so I can get to my “quilt project”! Love your blog! Thanks for a very nice giveaway ! Thanks for the review! :-) I helped 7 teen-agers each make a quilt 2 yrs ago. It was a learning experience for me too, even though I’ve been sewing for the last 46 yrs!! :-) This would have been a good book to help me explain things to the girls as we went along! It’s plain and simple, I quilt because it makes ME happy to make others happy! I quilt because Grandma quilted and we would study all her quilt books and plan quilts together. So I loved quilting and have taught 12 year olds to make kennel quilts. Quilting is my creative outlet. Batiks are my favorite fabric — they add a totally different dimension to my quilts. Recently I’ve started to work with flannels. I plan to keep quilting and exploring design. I’ve been quilting on and off for over 40 years. I quilt simply because I love to quilt. Everyone in my family has gotten quilts for their birthdays, anniversaries, etc. My kids have baby quilts, kid quilts, tween and teen quilts, t-shirt and college quilts. So now I give my quilts away, somehow they always find the right person at the perfect time :) I am teaching the neighbor girl how to quilt, she comes once a week to play. We started “sewing” the lines on paper and graduated to 2 giant 4-patch floor pillows. Now we are working on Christmas presents for her brothers and sisters, pillow cases, journals, a wall hanging, and a couple of throw quilts. Nothing fancy, but we have fun raiding my stash and button box, learning a little math and geometry (I have a degree in engineering and math is a blast!) and eating more than a few cookies lol. I am helping a friend learn to quilt. She is a neighbor from my old town, and it has been a fun way to reconnect with her after living in a different town for the last 8 years. She is having a lot of fun and we talk over the computer sometimes when she gets stuck if we can’t get together for a few days. This book would be just up her alley! I will suggest it to her. I quilt because it’s the most relaxing and expressive thing I do (along with being church pianist and choir director). I “feel” like an artist at heart but one would not know that from looking at my painting or drawing skill….lol. However, as a quilter, I have run the gamut from “stick figures to masterpieces”. I started hand-quilting in 1976. My quilter grandmother had just passed away and I wanted to feel closer to her. I missed her so very much. 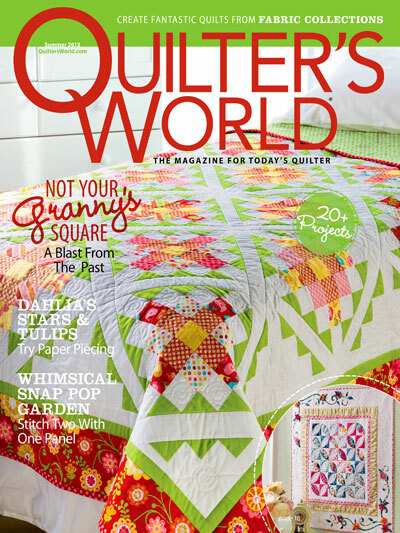 She was a quilter all her life—and I never appreciated that about her—thinking that was something old ladies did. She died in December 1975 and a beginning quilt class was offered the next spring—in honor of America’s Bicentennial—and I was HOOKED! Yep…pretty much became an addict overnight. My mother started quilting in the 1980’s so we had many years of quilting together before I lost her last year. Quilting brought us much closer together. I can relate to blocks being different sizes when sewn and points not matching. We used scissors then—no rotary cutters at that time. Fast forward all these decades and while I still love hand-quilting, I know there is not enough time to quilt everything I have made (or want to make) by hand. I started quilting on my domestic machine 2 years ago and last year bought a Handi-Quilter Avante. I do teach beginning quilting and my sister-in-law and I teach a number of mini-interactive classes at a large quilt show in WV each year. It would be nice to have this reference book to better teach beginners more efficiently and easily. Quilting, for me, is as necessary as breathing. I started quilting as a way of using bits of fabric left over from dressmaking. I didn’t have a granddaughter to make dresses for so my first quilt was for my grandson. Its draped over his chair now! He’s only 3! :-)( he put the smiley face in!) I now teach a group of friends every 2 weeks. We take over my house! Poor husband hides in the garage! We have great fun and some of them are doing really well. One lady has never sewn before and has just completed a jelly roll quilt. I am so proud of her. I recently boughaey complicated quilt kit in Vancouver and am busy working my way through one block at a time. You meet such lovely people when you visit quilting shops!!! 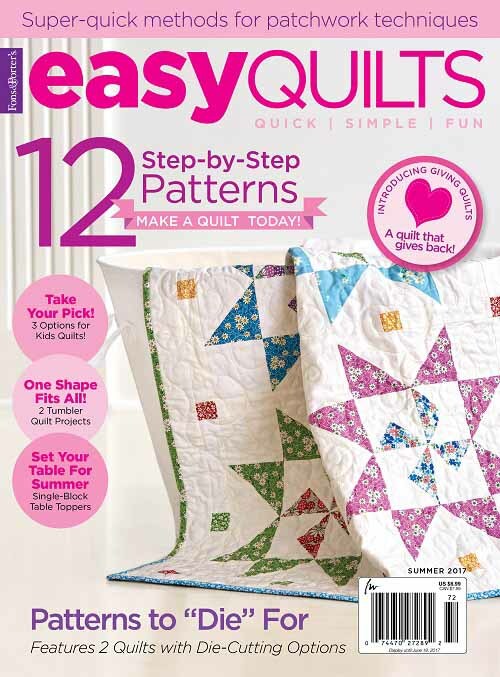 I began quilting because it seemed such a “homey” thing – even more so than crochet or knitting. To create a beautiful patchwork quilt that would keep people warm while they sleep just seemed so protective. It’s so creative and artistic, too. I quilt because I am! It is the perfect outlet on so many levels, and it keeps the mathematician in me sharp as well. Plus, I love, love, love fabric shops and fabric! I started quilting as an escape after my son died. It gave me something to concentrate and focus on other than my grief. I have come to really enjoy quilting now as a form of relaxation and self expression. Josh’s ashes are still in my craft room and we chat sometimes while I quilt. This book looks amazing I am totally self taught and boy oh boy do I have questions. I would love to have a copy of this book. Thanks you for hosting this giveaway. I am new to quilting, I haven’t actually made a full quilt as of yet. I have mainly done pot holders and bags. 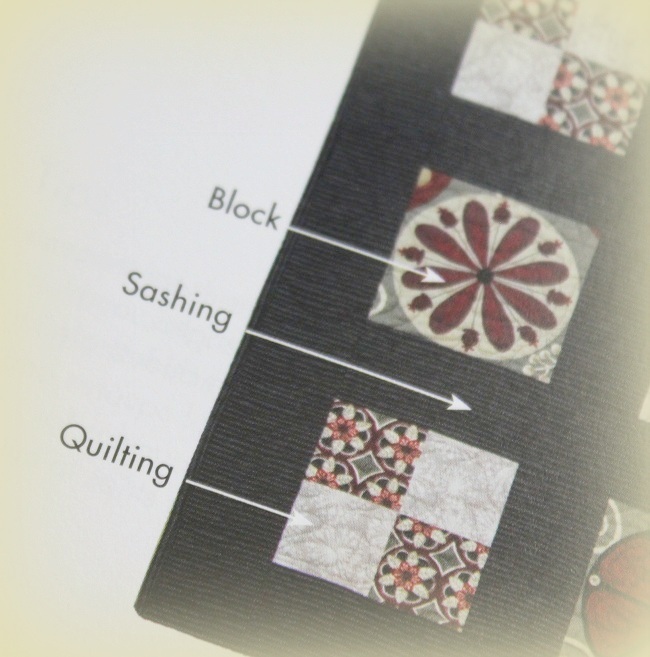 I became interested in quilting because of the idea of using scraps. I hope to start my first actual quilt soon. I think I do have a little fear, but I will never get better if I don’t try. I’m new to quilting also but not sewing. I got a quilt kit a few years and put it together and it turned out fine now I’m intimidated by all I don’t know. I have made a few quilts since but feel I do need all the help I can get. I have made several tablerunners, placemats and mug rugs but feel I just don’t know enough. I haven’t tried free motion quilting but have the foot lol and of course I keep adding to my stash but it’s really time to get down to being comfortable with my quilting. Wow, that’s quite an opening – I started quilting about 10 years ago because I wanted to make a photo quilt. I couldn’t find any tutorials so I selected Double Irish Chain pattern to start, intending to substitute the photos in the white alternate blocks. I didn’t know about grains, that terrible “V”, and I didn’t know about squaring blocks. I wanted that “puffy” look so I doubled my poly batting and started hand quilting. I couldn’t get the rhythm of hand quilting so I “stabbed stitched” it. That one still isn’t finished! And I’m still learning what not to do. The few things I have learned are being passed along to my granddaughter. She started sewing at age 6 sitting in my lap (she is still sewing at age 13). We are in this adventure together. I quilt because I love to make things for my family and friends. Lately I have had a health problem that causes me some pain and when I quilt it takes my mind off of it. I quilt because I love to finish things and it is so therapeutic. My mom taught me to quilt, and now we teach the grandkids to quilt. I helped a niece cut out her first quilt earlier this week. This book sounds like a great reference. 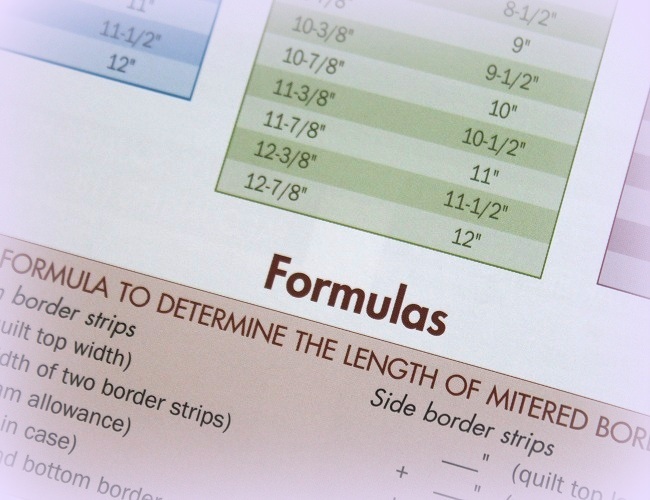 Sometimes it helps long time quilters know how to explain things to beginning quilters to use a book like this. Thank you for this review. The book looks and sounds fantastic. I have been making quilts for about 35 years and have been really busy since retirement. It is so relaxing and fulfilling to see the finished quilt. I do teaching sessions with my two sisters. Not sure i would call it teaching as they usually question my instruction but at the end of our sessions they are thankful and I get a “you were right”. I started sewing when I was about 10. I won a first prize in 4-H provincial competition for a white blouse. I was so pleased. When I started quilting, I only quilted 2-3 quilts. My last one, I rushed to complete it for a show and that turned me off hand quilting. I have since sent my quilts out to be hand quilted and now machine quilted. I machine quilt the smaller quilts myself on my domestic sewing machine. I am thinking of trying a large quilt but haven’t found the courage yet. I will purchase this book for sure to help me with my sisters. If they see it in print,we will progress more quickly and I may not get the “are you sure that is how it is done?” as frequently. I guess I need to get two copies. One for each sister. When I was ten years old in the 1962, I asked all my neighbors for fabric and my mom taught me to hand sew a Nine Patch Block. Mom helped me put all the blocks together and Dad built a quilt frame. The best part is the whole family helped quilt, including my 2 older brothers. Lots of sore fingers later, we had a finished quilt and the best part is that I still have it today. Good memories!! I have just started to sew and have never done any quilting. At present I am doing some dressmaking and have only just got my own sewing machine. This book sounds as though it would be perfect for a newbie. I have the machine, the quilting add on kit for my sewing machine and now just need some instruction! I started quilting because of left over material from sewing clothes for my daughter. I couldn’t dare throw away that beautiful fabric. Scraps add up fast and never seem to go away. She’s has even made a doll quilt for herself and her cousin. I just enjoy the process wether it’s a planned pattern or something totally scrappy. I even save the smallest scraps for hexies. I just love it. I’ve been sewing and quilting for about 5 years so I’m still newish. But I am loving the learning process too. i work in a small sewing shop. i teach QUILTING 101. i have taken several students through my “course” to a finished table runner. tomorrow i am starting with a woman who just bought her first machine and wants to learn to quilt! should be fun. i think we are starting with this is your machine and this is how you use it…………….. I have tried to teach my daughter to quilt. Notice the word tried. My Grandmother taught me. I bought my daughter a simple sewing machine, paid for lessons, said a prayer and waited, waited and waited. In her defense she has 3 active boys. I am hoping the bug will bite, when it does, she will need a great book. I might not still be here on earth. I quilt because I have to…..it’s in my DNA, I think, and comes from my mother and grandmother. I do teach quilting. In fact, we’re having a beginner’s retreat in a couple of weeks and I’m coordinating that. This book would be a lovely door prize and a great reference during our retreat. Thanks so much for having the give-away! 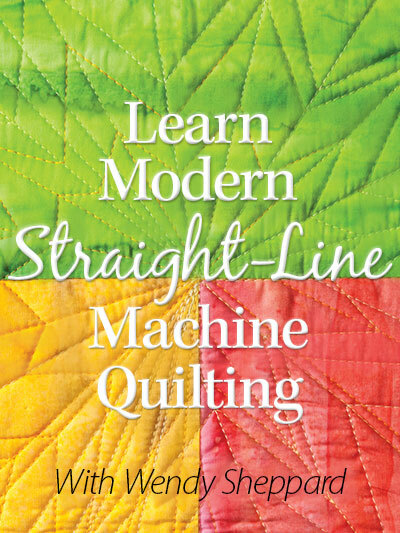 Am new to quilting and could really use the book. I started to quilt when a small shop in our town was offering a beginners class at night some 35+ years ago. My first project was a pieced and quilted star pillow which I gave to my parents for there anniversary, I was hooked from that moment on. My next project was a queen size Lone Star Quilt, I pieced it by hand and quilted it by hand, it took some time but this was what I wanted to do, there was no machine used it this quilt at all. When my mother saw what I was making and how interesting it was to cut up beautiful fabric and then put it back together in such beautiful designs she started to piece and quilt which led her to becoming a Quilting Teacher, she had many, many, students sign up class after class, she had a waiting list of students who wanted to take her class, she has since passed and I don’t have to tell you that I have many of her beautiful quilts and UFO’s she promised to leave me once she was gone. I love and cherish each and everyone of her finished and unfinished quilts. Like my mother, I hope to leave many of these and future quilts to my children and grandchildren. 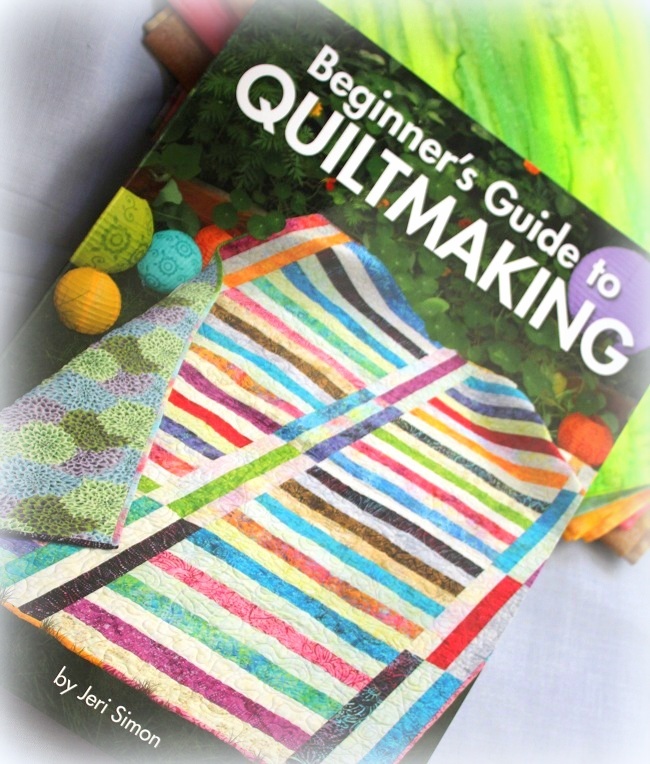 No matter what stage in life you are with quilting you always have room for a wonderful quilt book like Beginners Guide to Quiltmaking, this I would love to have. Oh I would love this book. My grandmother always quilted and sews everything she uses or wears. I want to follow in her footsteps. I am working on my very first quilt and I want to make her proud and let her know that someone in the family is going to carry on her beautiful skills. She is a kind beautiful gentle woman that I would love to be like as I carry on in this life. I have been quilting off and on for the last 6 yrs….I do enjoy it, it is like a stress reliever for me. Sewing I have done since I have been a child……Quilting well let’s see, the past 7 weeks! Not a small project mind you, but a large quilt that needed a 108″ back! As I sat pin basting 667 pins yesterday I was so gratified to have been able to get to that point…..the top is not perfect, but perfect enough to be the wedding gift for my son and his bride to be. Now for some straight line quilting on my home machine! I am to timid to try anything else……..This whole process had been AMAZING! Such a blessing to be able to create and expression of something unique and tangible where nothing existed before! I live quilting because it gives me much needed me time! I love creating for my two little boys and I enjoy giving quilts as presents. I am a family and consumer sciences teacher and each year I have my clothing 2 class create a quilt! This teaches them so many techniques! 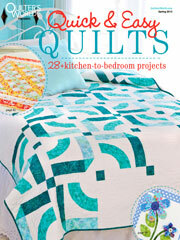 This looks like the perfect quilters reference book. 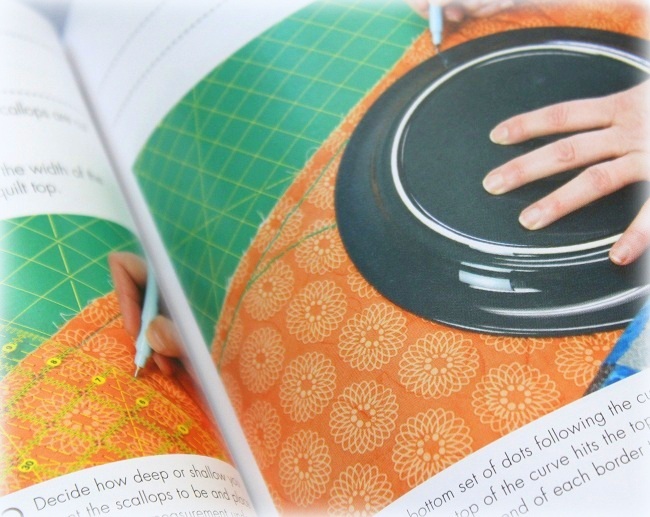 I remember when I began my quilting journey about 11 years ago asking my quilting teacher where I could find a “how to quilting book”, she told me there was no such thing. I was distressed to say the least. I muddled through, but this book would have been the perfect answer.